Langstone Cliff presents our latest weekend in this series of fantastic dance holidays. We are delighted to welcome Roz and Sid to Langstone Cliff. Leading a dance holiday that is suitable for beginners, Sid has been in the entertainment business for many years. You may recognise him from his time with the BBC, where he broadcast with many famous Artistes and Entertainers! Able to boast his own show and dance band, he also performed many times on television and Radio; in his time he produced several L.P. Records and appeared regularly at the Royal Albert Hall. 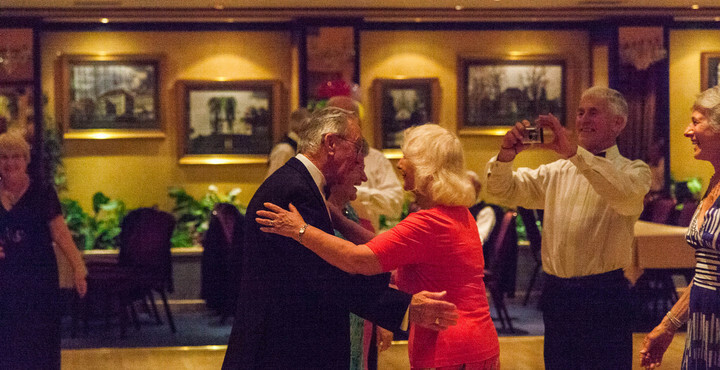 Sid’s own unique brand of entertainment is very popular with the Ballroom Dancing fraternity – he used pre-recorded music and offers a warm welcome to all who attend.